We need you! Please join us in installing thousands of native plants to create a beautiful buffer along 500' of lakeshore, along Cherry Creek, and in a new rain garden to clean runoff from the parking lots. These plants are "clean water superheroes"! They filter polluted runoff, hold the shoreline in place with their deep roots, feed pollinators, and deter geese from hanging out in the park and polluting the lawn! We will provide snacks and refreshing beverages. Be prepared to work outside and possibly get very dirty. Please bring work gloves and a shovel or garden trowel, if you have one available. If you don't, that's OK! We will have some tools available. 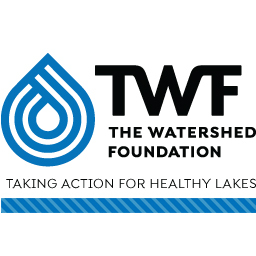 Learn more about this project at https://watershedfoundation.org/blog/water-quality-limitless-park/. If you have additional questions, please contact Lyn or Paige at The Watershed Foundation via [email protected] or 574/834-3242.